This is what the quilting community is all about. Thank you so much for your encouragement! After a week of quilting this sucker and 132 lines six feet long each, the husband quilt is quilted! Weekend homework: Have you been reading Jess’s “My Favorite Quilt” series at Sew Mama Sew? Such a great idea and execution. It’s made me think about my favorite, and I’m not sure I can pick just one. I’m also super excited that Jenny Lewis has a new album coming out. This clip is the first single. I have a fun contest and giveaway coming up next week, so stay tuned! I hope he loves it like we love it! That’s a stunning quilt, a stunning achievement and you should be very proud of it. Thanks Kate! I can’t wait to show off the finished photos! Hopefully the weather will cooperate and I’ll have them tomorrow. I am very proud of this quilt. Thank you as always for your comments and support! 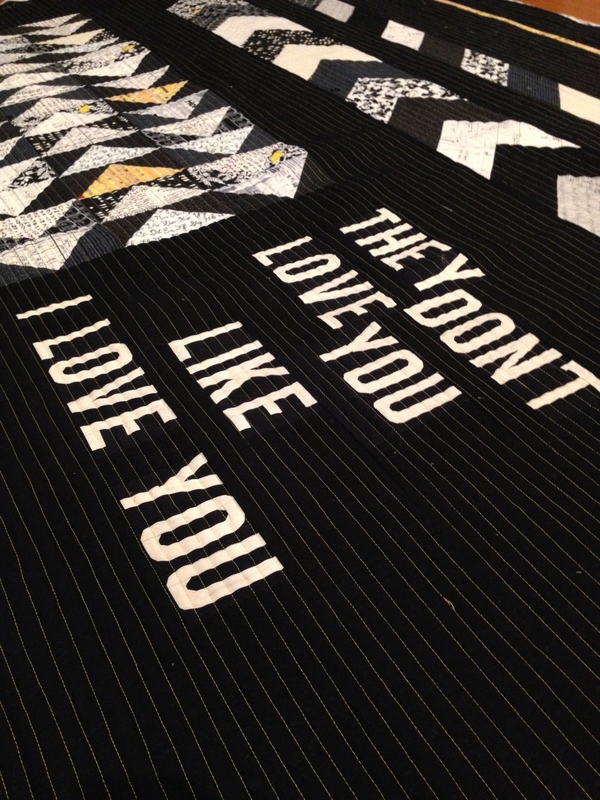 I Love the quilt and the quilting just makes the quilt speak to you. You counted the lines?!? Wow, I have never been brave enough to count. I love the finish of that straight line quilting but it takes forever. Great finish! 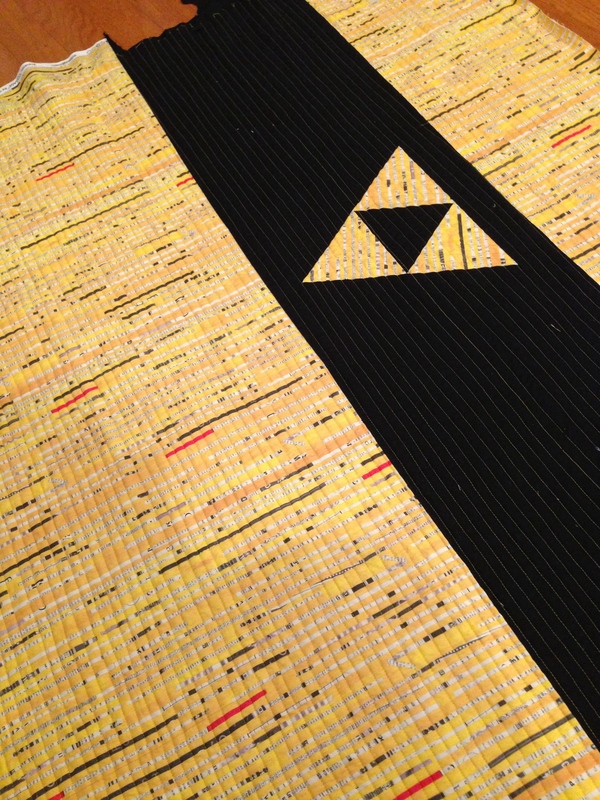 It looks fabulous in black and I know you are glad to be done quilting it! Love it!!! What an accomplishment !! Another Stunning Quilt! and I love the color combo. Have been waiting for the reveal. Thanks For Sharing! It’s amazing, Melanie! Your honey is going to love it! Woohoo! Sometimes getting through that many straight lines borders on craziness! Can’t wait to see the finished photos! Mel this is so awesome. Straight lines are truly a labor of love. But they are so worth it on this quilt. I can’t show my husband because he’ll want one…. Has Dan S seen this? If he does, he’ll get Gillian quilting, for sure.